I am an Atheist from a Muslim background, I would like to know exactly how do Christians think of Trinity (Especially the Holy Spirit)? Most Muslims see "Trinity" as three separate persons or entities (God, Christ and the Holy Spirit), although they truly believe (according to the Qur'an) that Jesus is a prophet (human), and that he was supported by the Holy Spirit (Ruh Al-Qudus روح القدس in Arabic, or Ruah Ha-Qodesh רוח הקודש in Hebrew). The reason Muslims think Christians believe in three Gods, is because Qur'an says so, although it does not necessarily reflect what the doctrine of Trinity stands for. Anyway, the way I think of it personally is as if God is a man (the father), deliberately controlling the movement of a puppet that looks like a human body (Jesus). And that Jesus is not independent of God as a person, in my own understanding of this idea, is that Jesus and God are actually one person, it is just that unlike other humans, who control their own bodies, Jesus is controlled directly by God Himself. That is an analogy of what I understand when a Christian tries to explain it. But I still fail to understand the role of the Holy Spirit? is it like the strings used to connect the Body (Jesus, Son) with the Soul (God, Father) ? Am I wrong here? Thank you. Note : Although the Holy Spirit is mentioned in the Qur'an, it does not give a definition or account for the word. The Qur'an only states that God sent Jesus as a human prophet, and that He supported him with/through the Holy Spirit. By the way, there is also a Hadith in Islam, that states that all humans sin, except Jesus. Before Jesus was born of the Virgin Mary, by the Holy Spirit, he was the eternal and uncreated Word of God. The Word became flesh and dwelt with us. That’s Jesus. So the first thing to understand about the Trinity is that Jesus was no mere mortal, born of a woman, but came from heaven to earth to do the will of his Father, who sent him. His humanity (physical body and nature) came from Mary but his divinity came from his pre-human being. He was fully human and also fully divine. On the last day of creation, God said, “Let us make man in our image, in our likeness” (Genesis 1:26). Thus, He finished His work with a “personal touch.” God formed Adam from the dust and gave him life by sharing His own breath (Genesis 2:7). Accordingly, humanity is unique among all God’s creations, having both a material body and an immaterial soul/spirit. The Muslim view of Jesus does not agree with the Biblical view of Jesus. That’s perhaps the reason why your view of the Trinity is not right. Good question, and I hope you get some good answers. Our understanding of God need to go much deeper than that. Let's not forget that He is the eternal self-existent substance that created the entire expanse of the universe, because, let's face it, matter can never create itself from nothing. Therefore, our understanding of Him need to be carefully gathered from His revelations. He cannot be explained with a few simple words, but instead will be our science and study for eternal ages. The Godhead is made up of three persons sharing one nature, the Father, Son and the Holy Spirit (Matthew 28:19). The Bible claims them as equal and fully capable of having their own individual will. The fact that they seem to defer to each other is rather an evidence of another powerful characteristic of God. Self renouncing love. A love that "seekth not her own" (1 Corinthian 13:5). The Father desires to give all things to the Son. The Son desires nothing but to bring glory to the Father. And, the Holy Spirit testifies only of the Son and the Father, and not of Himself. And yet all three are equal and act as one. (John 16:13-15). The creation of intelligent being with free will was no small act for God. The plan to save man was laid down from before the foundation of the world (Revelation 13:8). God foresaw sin's terrible existence, and had set up a plan of salvation to personally meet it. Through the light of the cross, and God's own sacrifice (both in the form of the Son for laying down his life and the Father for following through with a heart wrenching separation), we come to appreciate how justice and mercy met at the cross. "the Spirit itself maketh intercession for us with groanings which cannot be uttered" (Roman 8:26). Yet we know not almost nothing about Him personally, because He unselfishly testifies only of Jesus and the Father. Not the answer you're looking for? 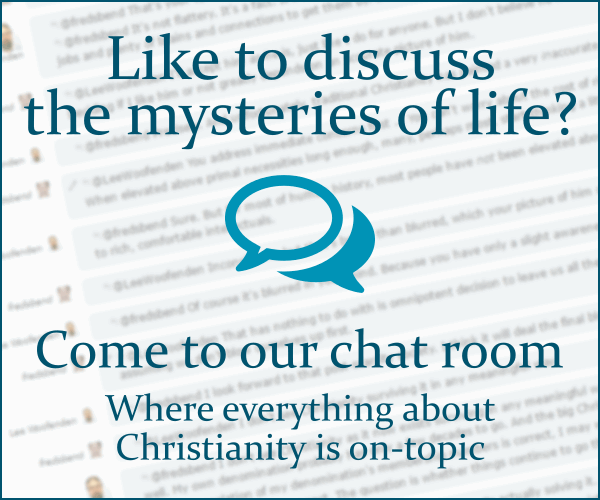 Browse other questions tagged trinity persons-of-the-trinity spirit or ask your own question.